Jeffrey Hudson was born of common parents North of London in 1619. On his 7th birthday, Jeffrey was presented to the Duchess of Buckingham who, because of his small handicap, invited him to join her household in London. Jeffrey Hudson was born of common parents North of London in 1619. On his 7th birthday, Jeffrey was presented to the Duchess of Buckingham who, because of his small handicap, invited him to join her household in London. What was this little handicap? Just that—Jeffrey Hudson was extremely small. How small? Well, a few months after he came to live with the Duke and the Duchess, the couple invited the King of England, Charles, and his young French wife, Henrietta, to their home. The climax of this lavished banquet was when a pie was placed in front of the queen, Jeffrey popped up from the crust standing his full 18 inches tall and dressed in a miniature suit of armor. The queen was so delighted! The Duke and the Duchess offered Hudson to her as a gift. In the palace, Jeffrey became her companion and confidante. He was famous as “the queen’s dwarf” and “Lord Minimus.” Educated by the best tutors in England, Jeffrey’s intellect grew but not his stature. He learned to charm and entertain with his wit in courtly behavior. Because of Jeffrey’s amazing well-proportioned smallness, he was considered one of the wonders of the age in a rarity of nature. He looked as though you are taking a perfectly proportioned 20-year old man and shrunk him down to 18 inches in height. In spite of his diminutive size, he experienced an unusually exciting life. He fought with the royalists in the civil war as captain, serving with enough valor to earn him the nickname, “Strenuous Jeffrey.” After one too many insults because of his size, he engaged in a duel and shot and killed a full grown man from horseback. For this, he was banished to Paris. He was captured by pirates twice and spent 25 years as a slave in North Africa before being ransomed by England. Sir Jeffrey was briefly restored to the royal court before being accused of participating in a Catholic plot which landed him in jail again where he ultimately died at the age of 63. From the lowest social strata, he rose to the courts of kings and queens and then back again. His portrait was painted by Van Dyck. He was the subject of poems and prints and books, yet this little big man died alone. Jesus asked the question, “Which of you by worrying can add one cubit to his stature?” Stay with us, friends. We’re going to learn more as Amazing Facts brings you this edition of Bible Answers Live. Pastor Jëan Ross: Welcome to Bible Answers Live brought to you by Amazing Facts Ministries. Are you looking for a clear, concise answer to your most challenging Bible questions? Maybe you’re struggling to understand difficult passages of Scripture. If so, you’ve come to the right place. Join us now as we open God’s Word to discover His will and find honest, practical answers to you Bible-related questions. This broadcast is pre-recorded. If you have a Bible question, call us Sundays from 7 to 8 P.M. Pacific Standard Time at 800-GOD-SAYS. That’s 800-463-7297. 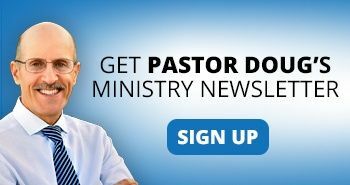 Now, let’s join our host, author, speaker, and evangelist, Pastor Doug Batchelor. Pastor Doug: Welcome, once again, listening friends, to a fresh installment of Bible Answers Live. And if this is your first time tuning in to the program, then you can probably gather from the title, it is a live, interactive Bible study. We’re going around the world via the Internet and across North America on satellite. If you have a Bible question, we have phone lines open right now. Pick up your phone, give us a call! We’d love to hear from you. It’s a toll-free number—800-GOD-SAYS; that’s 800-463-7297. Keep a pencil or pen handy because over the course of the broadcast, we also have a number that we’ll provide free resources and we’ll give you some web addresses where you can obtain some excellent study resources as well. My name is Doug Batchelor. Pastor Doug: Evening, Pastor Jëan. Pastor Jëan Ross: Good to have you back! Last week, you were traveling back from Michigan at the completion of the “Most Amazing Prophecies” seminar. Pastor Doug: Yes. And I’ll tell you. Just… that was a thrill. It was very exciting and had a wonderful time there on the campus of Andrew University working with Pastor Dwight Nelson doing this international broadcast. We had groups—over 2,000 groups—who registered from 54 countries all around the world. 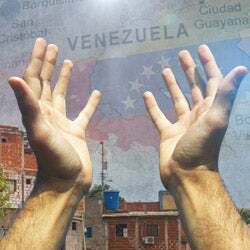 It was in Spanish, Portuguese, English, and just heard wonderful reports of people who tuned in to this prophecy program. And one reason I’m mentioning this is not just to revel in the experience but to tell our friends if they missed any of those broadcast, they can see them. All they have to do is go to the website, mostamazingprophecies.com, and they can click and watch the various programs— ten presentations on the most amazing prophecies in the Bible. Pastor Jëan Ross: It was a great series. The response, like you said, that we got back just was tremendous from folks that tuned in wondering about these important prophecies and being explained from Scripture. Just a tremendous blessing. Well, Pastor Doug, let’s start this program with a word of prayer. Dear Father, once more, we recognize that in order to understand the Bible, we need the Holy Spirit. The Bible is Your book and so be with us, tonight, Lord. Be with those who are listening. Be with those who call in with their Bible-related questions. May the answers be clear and from Your word. For this we ask in Jesus’ name. Amen. Pastor Jëan Ross: We began the program with an amazing fact about Jeffrey Hudson just 18 inches tall. Amazing! Pastor Jëan Ross: Shrunk down. Pastor Doug: Yeah. But he had, you know, perfectly normal health and intellect. He lived to 63. That’s not bad in the 1600s in England. Pastor Doug: Engaged in a duel with a full grown man where he won! Pastor Doug: He’s a small target. Pastor Jëan Ross: Walking around with his armor. Friends, if you ever face temptation and struggle with spiritual battles, then you want to know about this armor. And we have a free offer for anybody who just asks and we’ll send it to you. Pastor Jëan Ross: Our free offer is, “The Armor of God,” writer by Pastor Doug, dealing with this important truth that in order for us to overcome and gain victory, we need to be clothed in God’s armor. To get this free offer, just call our resource number. The number is 1-800-835-6747. And the book that you want to ask for tonight is, “The Armor of God.” Again, the number is 1-800-835-6747. Another way that our listeners, Pastor Doug, can send a question to us is via the Internet. So there, you get God the Father and the Son. And it says, “And the Spirit of God moved upon the face of the waters.” You’ve got God the Father, Son, and Spirit as separate Beings there in the beginning. Now, there were two parts to that question. Did I get both parts? Pastor Doug: Well, for one thing, it’s often true that a son… I’ve seen you kids and you got couple of boys that reflect their father. Sometimes they say the apple doesn’t fall far from the tree. Jesus came to show us the Father. There’s a lot of misunderstandings about who God is— God the Father. And Christ is the expression of the Father. He is a perfect reflection though His glory was veiled in humanity, He is a perfection or representation perfectly of the character of God. Pastor Doug: Well, I don’t know of any text that specifically says angels heal. There is that story by the pool of… is it Bethesda? Where these people tried to clamor into the water when it looked like an angel had stirred the water. Well, we don’t even know if… doesn’t ever say it was a good or bad angel. It seems almost like a cruel trick to have all these sick people climbing over each other because the water ripples. Pastor Jëan Ross: Does the devil know what we are thinking? Pastor Doug: The Bible tells us in 1 Kings chapter 8, I believe it’s verse 30, God and God only knows the thoughts of men’s hearts. The devil can tempt us. He can put thoughts in our minds. Of course, I can do that while I’m talking. Anyone can put a thought in your mind by what they say, but only God can really read the heart. And that’s one of the proofs that Jesus was God because He knew what was in man. He often read the minds of those around Him. Pastor Jëan Ross: Okay, great! Thank you, Pastor Doug. 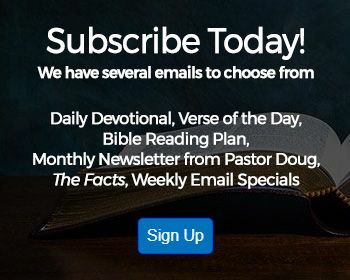 Just a reminder, friends, if you have a question you’d like to email to us, just go to the Amazing Facts website, click on “Bible Answers Live,” and we will try and take your question on the air. We’re going to go to the phone lines. Our first caller is Walt, calling from York, Pennsylvania, listening on the Internet. Welcome to the program, Walt! Walt: Hi, Pastor Jëan. Hi, Pastor Doug. Walt: …verses 14 through 17. I’m not going to read it to you, but my main question is Paul seems to speak about blotting out the handwriting of the ordinances that were against us and let no man judge you in meat, drink, holy day, or new moon, or Sabbath days. Is he saying here that the ordinances and the Ten Commandments are not really applicable? What’s he trying to point out here? I just don’t understand. So He makes a distinction between the Ten Commandments and the ordinances by the hand of Moses. Ten Commandments were written by the finger of God. The ordinances were written by the hand of Moses. They were written on paper, which you could theoretically nail to a cross. Ten Commandments were written on stone, which you don’t very easily nail to anything. So Paul is saying that New Testament Christians were not obligated to keep the Jewish ceremonial ordinances such as circumcision, sacrificing of lambs, the Jewish annual feasts and Sabbaths. But he certainly wasn’t saying the Ten Commandments were blotted out because you think about what that would mean if it’s now okay for a Christian to lie and steal and kill, and commit adultery and worship idols, and so forth. So, there’s a big distinction that’s made there between the Ten Commandments and the ceremonial laws. Walt: The reference to meat, is he saying that animals are now clean to eat? Pastor Doug: No. They had meat and drink offerings on the annual Sabbaths that were brought to the sanctuary and all of that was abolished. Pastor Doug: Okay. Thank you very much. Yeah, along with no longer needing to sacrifice lambs, they also had offerings of meat and drink offerings. Pastor Doug: And that, I think, will be perfect for what Walt is asking for. And if Walt can still hear us, we trust he can, if you just go to the Amazing Facts resource number—I’ll let you do that since you get paid big bucks for this. You give the phone number. Pastor Jëan Ross: Alright [laughing]. Pastor Doug: Actually, Pastor Jëan volunteers his time. I was teasing him. Pastor Doug: …by Pastor Joe Crews. It’s a classic. Pastor Jëan Ross: Pastor Joe Crews. Okay. Let’s go to our next caller. Belva is listening on Radio 74, from Oregon. Welcome to the program! Pastor Doug: Now, what was the question about that? Belva: He says Jesus kept calling that a sleep. He wants to know, what’s sleeping? Belva: And where is the spirit? Pastor Doug: …and he became a living soul. Pastor Doug: It’s the word you find in the book of Job where it says, “The breath of God is…” “The Spirit of God is in my nostrils.” It’s the breath. Pastor Doug: When a person dies… a matter of fact, in Ecclesiastes, it doesn’t even make a distinction between saved or lost animal or human. When any of God’s creatures die, the bodies die; they decompose, turned back to dust; the spirit of life returns to God who gave it. It doesn’t say that it’s a conscious ghost or spirit that hops out because that would imply that the spirit of the lost return to God, the spirit of the cows and the sheep, and the rats and the bats all return to God and they’re all conscious up there. It’s just saying the spirit of life—the breath of life—returns to God who gave it. That’s all that verse means. People, when they die, have no consciousness of time until they are awakened. Their next conscious thought, if they’re saved, is the presence of the Lord! But that doesn’t happen ‘til the resurrection. Pastor Doug: Oh, yeah! In the book of Job, it says, “If I wait, the grave is my house.” It says… Jesus said all of those that are in their graves will hear His voice and come forth—that’s at the Second Coming. Pastor Doug: …the Lord will reassemble them. We don’t need to worry about that because God is not resurrecting the old body. He’s giving us totally new bodies. Belva: So when He comes though… see, this man’s father just died and was cremated and he want to know where he is now. And I tried telling him the dead don’t know anything but I told him the spirit was back to the Father. Pastor Doug: Well, you are correct that the spirit of life returns to God but that spirit is not conscious, Belva. It’s the breath of life that returned. His father is sleeping a dreamless sleep until the resurrection. Hopefully, it’s the resurrection of the just. But people do not go right to heaven or hell before judgment day, which is still future according to the Bible, or the resurrection. That wouldn’t be fair to reward them. The Bible doesn’t teach purgatory or limbo or any of these fanciful doctrines people concocted. Pastor Jëan Ross: And of course, when the Bible says that someone sleeps, it doesn’t mean it’s a metaphor speaking of death. Pastor Jëan Ross: In other words, there’s no consciousness, there’s no… they don’t know what’s going on around them. They are sleeping the sleep of death until Jesus comes. Pastor Doug: An example would be in Acts chapter 7 where Peter talks about King David. He says—and this is, of course, a thousand years after David’s death—David is dead and buried, a few verses later, it says, “And not yet ascended to heaven.” So here, you get good King David. Now, David, right now, it’s 3,000 years ago since he died. 2,000 years since Peter preached that sermon. It doesn’t seem like a second for David. Next David… next conscious thought he has is, yeah, resurrection—glorified body. Pastor Doug: Be in the presence of the Lord. Pastor Jëan Ross: We like to make that offer available dealing with this important subject, “Are the Dead really Dead?” And to get that, just call our resource number, 1-800-835-6747; that’s 1-800-835-6747. We’re going to go to Joseph, listening on WMCA in New York. Welcome to the program, Joseph! Joseph: Thank you. Good evening. Joseph: I’d like to know the reason that Samson carried off the gates of Gaza. Pastor Doug: Oh, that’s a… that’s a good question. I don’t think we’ve ever had that one. Let me take a stab at it. For our friends who are listening, one of the many feats of strength that Samson demonstrated, even though the context we’re not proud of, the Philistines tried to capture him when he was in a… one of the Philistines’ cities, and he tore the gates. They couldn’t keep him in. He tore the gates right from the hinges, put them on his shoulders and carried them up toward Hebron. He carried these gates on his shoulders about 10 miles. There’s a spiritual lesson there. And the lesson is where Jesus said that the gates of hell will not prevail against the church. Samson is a type of Christ in that he was filled with supernatural strength and he sacrificed his life. The last thing Samson does is he stretches out his arms like Jesus and he lays down his life to deliver God’s people from their enemies. When Samson tore the gates from the hinges and brought them up towards the hills or Hebron, it’s a symbol of when Christ took the cross on His back and went up Calvary to, basically, liberate the captives from Satan’s stronghold. Joseph: Did you say he took the blocks to get out of the city? Pastor Doug: Was it Gath? Was it Gaza? Pastor Doug: Yeah. And it was a Philistine city that he was captured in. Joseph: Okay. He wanted to get out of the city. Pastor Doug: Yeah, they tried to… he basically went there to see a girlfriend which we are not proud of but… then they say, “Hey, we’ve got him now.” In the middle of the night, he went to the gates and he just tore the gates right off the hinges, put them on his shoulders and walked out. Joseph: Does it give any indication at all about the weight of those gates were? Pastor Doug: …which would probably be an average, you can guess that those gates weighed about a ton and a half. Pastor Doug: That’s 3,000 pounds. Pastor Doug: …can’t imagine that. Joseph: I, one time, saw a man lift 3,000 pounds on his back. Pastor Doug: Whoa! But he didn’t carry it 10 miles? Joseph: No, he didn’t. By the way, does it mention about what he did with the gates? Pastor Doug: So he just hauled them off and dumped them. Joseph: Good night. God bless you. Pastor Doug: Good question, Joseph. Pastor Jëan Ross: …about Samson taking the gates. And he is the type of Christ that delivers us from the power of the enemy and sets us free. Our next caller is Richard, calling from Gloversville, New York, listening on the Internet. Richard? Pastor Jëan Ross: Hi, welcome to the program! Richard: Thank you. This is my first time calling. I was watching Most Amazing Prophecies last week and the Friday night, Pastor Doug mentioned the free is nailed to the cross. 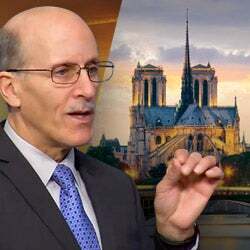 Pastor Doug: Some translations render it that way and there’s a big debate among the theologians—I think even within our church—that what was it nailed to the cross? Is it the list of our sins? Is it our record of guilt? Our debt? Or is it the ceremonial laws? Is that what you’re addressing, Richard? Richard: …against Jew. And the… I assume it’s a record of our sin that was nailed to the cross. Pastor Doug: Yeah. I have heard some compelling studies where they say that when you owed a debt in Bible times, there was a cancellation. When the debt was paid, it would be cancelled and it might even nail to the door of your house that your rent had been paid. And so, Paul—the theologians will say—was using that, those visual images to convey that our debt of sin had been cancelled by Christ. Is that… that’s what you’re talking about. Richard: Okay. If that was the handwriting of our debt that was nailed to the cross and not the ordinances. Shouldn’t we be observing the annual Sabbaths? Pastor Doug: Well, I got my… pardon me, Richard. I got my Hebrew open here. And in Colossians 2:14, the word there is “dogma” for ordinances and that word is translated “ordinance,” “decree,” “law,” it’s never called the “debt.” So I think it’s a little creative interpretation when they try to make that say something else but hope that helps a little bit. We’re about to run into a break. We hate to cut you off here, but the engineer tells us when our time’s up, and we got to take a break. Pastor Jëan Ross: We don’t want to just wipe them away. We want to realize their significance. But do we keep those ordinances now that Jesus has come? Pastor Doug: You know, my understanding of that would be if you got a child that’s overseas, you might have their picture on your dresser and kiss it every now and then because you miss them. But when they finally come home, it doesn’t make sense to embrace the picture. You embrace them. Christ is the Substance now so for us to keep the ceremonial laws that are shadows, why would you want to focus on the shadow when you’ve got the Substance in front of you? Pastor Doug: Listening friends, we’re about to take a break. We have some important announcements. Don’t forget, get your pencil, write down amazingfacts.com, amazingfacts.org, go there. You will find a virtual tree of life. A kaleidoscope of Bible study resources, sermons that will enhance your personal devotions. Pastor Doug: We are back and if you have just tuned in, you find your way to Bible Answers Live. This is a live, international, interactive Bible study. Right now, in North America, we’re on over 220 different stations and some are live, some are pre-recorded but for our live audience, this is recorded 10 P.M. Eastern Time, 7 Pacific Time. And if you got a question during that hour, we invite your call. We have a couple lines still open. 800-GOD-SAYS; that’s 463-7297 on a free phone call. My name is Doug Batchelor. Pastor Jëan Ross: And my name is Jëan Ross. Pastor Doug, let’s go straight to the phone lines. Pastor Doug: Let’s do it! Pastor Jëan Ross: Terry is listening on WROL from Lynn, Massachusetts. Welcome to the program! Pastor Jëan Ross: Hi, Lynn. Terry: How are you, Pastor Doug? Good night Pastors. Terry: Can you please… could you please explain Leviticus 11 in verse 22? I’ll listen all-ears. Pastor Doug: …read this for our… and thank you for your call, Terry. Pastor Jëan Ross: There’s a lot of grasshoppers. Pastor Doug: …as you have to a lot of… yeah. You can just, you know, see them chasing them around the fields. There is also a bean that grows in the Promised Land. They called it Saint John’s bread because it’s a locust bean and it’s a long black bean. I’ve seen them there. It’s something like what we call our Carrabin and it’s got a lot more nutrition in it than grasshoppers do. So there’s a big dispute. The word is the same for either one whether he was eating grasshoppers of Carrabin. But it was… it is true that the only insects that were specified as clean for food were these purely vegetarian insects that… such as the grasshoppers and the crickets. But not too many people in our culture want to make that part of their diet. Before I was a Christian, I’m ashamed to say I ate all kinds of creepy things. I ate snails, which are unclean. I ate frogs, unclean. I ate squirrel, I ate rattlesnake, I ate turtle, I ate all kinds of strange things I’m not proud of, but I never ate grasshopper, Pastor Ross [laughing]. Pastor Jëan Ross: We have a study guide that deals with this as well. Pastor Doug: Yeah. It’s called, “God’s Health Plan.” “God’s Health Plan” talks about the clean and unclean foods as specified in the Bible and some of the benefits. I think people probably are better off eating the grasshopper burger than eating a Big Mac. Pastor Doug: Some of these cheese burgers, it’s like a cholesterol ivy drip. Pastor Jëan Ross: That’s right. Let me give you the resource number. The booklet that deals with clean and unclean foods is “God’s Health Plan.” And to get it, call 1-800-835-6747, and you can ask for that offer. Our next caller is Linda, listening on WJJD from Kokomo, Indiana. Linda, are you there? Pastor Jëan Ross: Welcome to the program! Linda: Thank you very much. We were listening—my granddaughters and myself—we’re listening to you the other evening and they asked me what heaven was going to be like and I answered them as best I could. But they wanted me to call you and ask you and maybe give some Scripture. Pastor Doug: What will heaven be like? Linda: They’re wanting to know. Pastor Doug: That’s… were you watching some of the Most Amazing Prophecy presentations? Linda: Well, we were listening to you on the radio. Pastor Doug: Oh, okay. Well, I’ll give you a quick flyover of some of the verses. Of course, if you read in Revelation chapter 21 and 22, are some of the best descriptions. Isaiah 65, Isaiah 11—it tells us that there will be children there. It tells us that the child will be able to play with the creatures and nothing will hurt or destroy. There are going to be golden streets and pearly gates and the tree of life—probably the Garden of Eden in the middle of the City of God, it will be like Central Park. I believe we’re going to be able to fly in the Kingdom and it says, “They’ll mount up with wings like eagles” in the book of Isaiah. No more death, no more pain, no more sorrow—probably no more homework. Your girls will be happy to hear that [laughing]. Pastor Doug: …and it’s called, “The Amazing Space City.” It’s our study guide on heaven and it’s just filled with… it’s got pictures—your girls will really enjoy that. Pastor Doug: Or you can hang on a giraffe. Pastor Jëan Ross: …feel free to call that number. Get that resource and then share those texts with your daughters. Pastor Jëan Ross: I thought that was the title. Pastor Doug: Don’t use drugs when you’re young, kids. Pastor Doug: It’ll catch up with you. Pastor Jëan Ross: Well, thanks for calling, Linda. Our next caller is Max and he’s listening on the Internet from Brooklyn, New York. Welcome to the program! Pastor Doug: Hi, Max! Thanks for calling. Your question. Max: Yes. My question is, who exactly baptized John the Baptist? Pastor Doug: Good question. We know John the Baptist baptized thousands, including Jesus. John probably baptized the 12 apostles because some of them met Jesus at John’s baptism. But you’re asking, “Well then, who baptized John?” Now there’s no Scripture that’ll tell us but there is some speculation among historians that may have some merit. There was a very strong, very pious religious community down by where the Jordan River runs into the Dead Sea not far from where John was baptizing in Ænon and they were called the “Essenes.” They are probably the authors of the Dead Sea scrolls. It was a various, zealous, religious community. In their little towns that they’ve excavated, they were able to capture water coming from creeks that ran down from Hebron towards the Dead Sea and they had water running through the community into baptisteries. They were very big on baptism. We know that from their writings and it is very possible that they knew John and John knew them. And some of the fathers—the ancient leaders—in the Essene communities, they may have baptized John when he began his ministry. We don’t know that but I would… I’d venture to say that he probably visit them and probably was, at some point, baptized. Pastor Doug: So, hopefully, that helps a little bit. Pastor Jëan Ross: Thanks for calling, Max. Our next caller is John, listening on KFIA from Sacramento, California. Welcome to the program, John! Your question. John: Hi. I just want to know, does the Bible say what Judas’ intentions were when he began to follow Jesus? Pastor Doug: Well, you begin to wonder if Judas had… Pastor Ross, you can look up that verse; it says, “Birds have their nests, foxes have their holes.” I forget, it’s in Matthew, I’m pretty sure. I forget what reference that is. But is may be that Judas had some even materialistic aspirations from the very beginning. He saw the power of Christ. He realized He had charisma. He thought, “This is going to be the next leader. I’m going to get close to Him so that I can be in a position of influence.” Jesus, knowing that Judas was very materialistic, He warned him. It says, “There was a certain scribe that came to Christ and said, ‘Lord I’ll follow you wherever you go.’” Did you find the verse? Pastor Jëan Ross: Yeah. The verse is Matthew 8:20. Pastor Doug: And Jesus said… go ahead. Pastor Doug: In other words, He was telling… and some scholars believe this was Judas. He was letting them know, “If you’re following Me for earthly gain, for an earthly mansion, earthly position, don’t follow Me!” So, he may have started with good intentions but Christ knew that his heart was very covetous. Pastor Doug: He went out with the other 12 and evidently was, you know, is says that they all came back saying that the demons were subject to them. And so, he had some success. Pastor Jëan Ross: …liberate the Jews. So there were parts of him that believed in Jesus, but on the other hand, there was something selfish that he clung to in his heart. Pastor Doug: He had some pride and selfishness. Hope that helps a little, John. Good question. Pastor Jëan Ross: Thanks for calling, John. Our next caller is another John listening on WDQM from Harrisburg, Illinois. Welcome to the program, John. John: Thank you for taking my call and God bless you both. Yeah, in Bible study, this came up and I’ve got question I want to… in Psalms 148:2, it says, “Praise ye Him all His angels; praise ye Him all His hosts,” which I’ve read “hosts” in other places in the Bible. My question is, I just wondered who “host” was—who that refers to. Pastor Doug: The word… that’s a good question. The word “host” is often an army or great assembly. That’s why He’s called “the Lord of hosts.” Now, because it specifies angels, and then it says “hosts,” it would include the angels, the seraphim, the cherubim. An example of that would be if you look in Revelation 5:11, John, it says, “I beheld and I heard the voice of many angels roundabout the throne and the beasts and the elders and the number of them was 10,000 times 10,000 praising God.” Verse 12, “Worthy is the Lamb that was slain.” So here’s a picture of angels and other creatures—heavenly creatures—around the throne of God praising Him. So it’s His heavenly entourage—His heavenly court, His ministering spirits. They are praising Him—His army. Pastor Doug: The sons of God. Pastor Jëan Ross: …and the children of God? Pastor Doug: Yup. All of the… all those who are loyal to God in heaven will be called the heavenly hosts. Pastor Jëan Ross: Thank you for your call, John. Our next caller is Suzanne, listening on KARM from Hanford, California. Welcome to the program! Pastor Doug: Well, let me… do you mind if I jump in? I will make sure you don’t run out of time before you articulate the question. What specifically would the question be? Suzanne: What it was is that I was wondering because I, myself, has been reading the word and it seems that there was an eternal punishment. So I wanted to know, how did Seventh Day Adventists come up with not believing that there was an eternal punishment for those who did not follow Christ? Pastor Doug: Well, let’s talk about what the Bible says. First of all, the very beginning—now, I’m going back and I’m coming from a Jewish background, my mother was Jewish—from the very beginning, God told Adam and Eve there’s two choices, life and death. “If you disobey, you will surely die.” A matter of fact, it’s interesting, the first lie is the devil telling Eve, “You will not surely die. You will not really die.” And unfortunately, that lie has been perpetrated by a lot of sincere ministers that you can’t die, you’re immortal. Yet, the Bible says, “God and God only has immortality” in… is that 1 Timothy? Pastor Doug: Only God has immortality. We get immortality when Jesus comes then this mortal will put on immortality. And that’s 1 Corinthians 15. So… and then you go to the end of the Old Testament, it says, “Behold the day…” Malachi chapter 4, “Behold the day comes. It will burn as an oven and all the proud and all the do wickedly shall be stubble. The day that comes will burn them up.” So there are two choices—“God so loved the world, He gave His only begotten Son, whoever believes shall not perish but have everlasting life.” We either have the choice to perish or everlasting life. Suzanne: The Lord didn’t spare even the angels from that. Pastor Doug: Well, if they’re not accepting our Messiah, then I would be reluctant to accept their theology because Jesus is the Truth! Suzanne: Well, the only difference was they’re not accepting Christ is, you know, everything else they’re the same. I was really surprised how he described everything in the Old Testament. Pastor Doug: No. There’s quite a bit that is different. And take it from me growing up with, like I said, a Jewish family. There’s quite a bit that is different from biblical theology and what modern Jews believe. And you will find that if you go from the orthodox Jewish churches among the liberal, among the more conservative—there’s so many varieties—they all disagree. There are even some Jewish persuasions today, they think this life is all there is and yet they go to a synagogue every week and they think that when you die, like the Sadducees, that’s it. Heaven and hell is here on earth. Pastor Doug: So, there’s a lot of different beliefs. I wouldn’t draw conclusions from talking to one gentleman that you meet who comes out of the synagogue. I wish we could take more time, Suzanne, but we’re trying to get a couple more calls in and we appreciate… we have an offer that will give you a lot more Scripture. Please call the number and get this offer. Anybody, if you’ve got questions on what the Bible says about the punishment of the wicked. Pastor Jëan Ross: Suzanne, the number to call is 1-800-835-6747 and just ask for the study guide, “Is the Devil In Charge of Hell?” It deals with the whole subject, “Is the Devil In Charge of Hell?” That’s 1-800-835-6747. I think you’ll find that study guide very helpful. Our next caller is Cheryl, listening on WMCA in Bridgeport, Connecticut. Welcome to the program, Cheryl! Cheryl: Thank you. Just have a question on Revelation 8 and 9, I was reading that and wondering if there’s any connection with the seven last plagues because it talks about the seven trumpets and also the verse that talks about the half hour. A little explanation on that please. Pastor Doug: Unto the Second Coming when the book ends and we’re all in heaven, new earth. He outlines the history of the church—the religious history—in the vision of the seven churches. Pastor Doug: Then he outlines the political history of the church in the seven seals. Then he outlines the military history of the church in the seven trumpets. Pastor Doug: Now, the seven plagues are what happens after the close of probation just before we’re delivered. There were ten plagues that fell on Egypt just as the Israelites were delivered from slavery. There are seven plagues that fall upon… oh, by the way, you know one reason that there is ten plagues that fell on Israel and Egypt, and is only seven plagues in the last days? You read in the Bible that the Israelites were protected from the last seven plagues but it doesn’t say they were protected from the first three. Just thought that was interesting. Anyway… but it’s telling us that that happens after probation closes just before the Lord comes to deliver us and take us to the Promised Land. So there’s a lot of historical parallels between those sevens that you see there. And then you asked about the half an hour? Pastor Doug: In prophecy, a day equals a year. Pastor Doug: And even in the Bible, it says there are 12 hours in a day, also of course, 12 hours in the night. It had the 12 hours of the nightly watch, 24 hours in a day. If a day equals a year in Bible prophecy, then one hour is about 15 days, and you’ll notice in that verse there, it says, “About the space of half an hour.” That would be seven days—seven and a half if it was exactly half an hour. So there’s a seven-day period where there is silence in heaven. And some believe that that is the period of time after Michael stands up when he comes back to our earth to bring people to glory. I hope I’ve given you a light very quickly, Cheryl, and you know, she would enjoy our Advanced Bible Prophecy series. 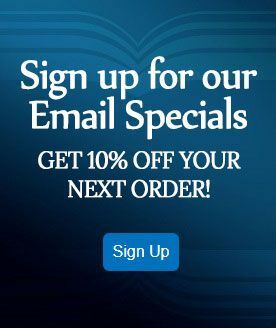 If you go to a website, Cheryl, if you’re able to get online and you go to bibleuniverse.com, there’s a place where you can sign up for the Historical of Prophecy Bible Study series. Do them right there online, it’ll take you into America in some prophecy and some very deep studies in Revelation. Pastor Jëan Ross: Thank you so much for calling, Cheryl. Our next caller is Betsy and she is listening on WMCA in Elmont, New York. Betsy, welcome to the program! Betsy: Thank you, guys. Hello, how are you? Pastor Doug: Good. How are you doing? Betsy: I’m fine, thank you. I just have a really quick question. My husband and I have been believers many, many years. And obviously, you know, we believed that Jesus Christ came, died for our sins, on the third day, He was raised to life. And in Romans 10:9 speaking of how we are to confess our sins and repent and we shall be saved. You know, paraphrasing. Several weeks ago, we were invited to a Bible study by a group of people and what they believe is that the only way to be saved is through baptism in the water. Basically, you know, one of the things that they stated was even if you accept Jesus into your heart and repented of your sins and you’re on your way to be baptized—these are the exact words—if you die on your way to be baptized, you’re condemned to hell. Pastor Doug: Sure. I’m glad you called. First thing, if, according to their theory, every in the Old Testament that didn’t get baptized is lost because what about Abraham, Isaac, Jacob, David— none of them— there’s no record of them getting baptized. So if baptism is the only way to be saved, what about all of the patriarchs and prophets and kings in the Old Testament, and saints? Not only that. The thief who died on the cross, there’s no evidence he was baptized. And then you’ve got even some New Testament characters who, you know, like Simeon who dedicated Jesus in the temple—no record that he was baptized. We don’t even have a record that Mary, the mother of Jesus, was baptized anywhere in the Bible. So… but, in fairness, well you know, they say if you accept Jesus and you’re on your way to get baptized and you die on your way, you’re lost—that’s sort of like saying if a bride dies on her way to the wedding that means she did not love the groom and he did not love the bride. I mean, that’s absurd! Pastor Doug: So what baptism is, it is a very important service and a Christian should be baptized. There are cases where people accept the Lord on their deathbed and they may not be able to be baptized. There are prisons who have persons on death row. The prison might not accommodate a baptism. It doesn’t mean they can’t be saved. What the Lord wants first of all is our heart. I believe that when Jesus was baptized, it obviously was not for His sin. Isn’t that right, Betsy? Pastor Doug: Christ is sinless. One of the reasons that Christ was baptized is as our example. And I also think that Christ was baptized in behalf of those who cannot be. Now, someone says he’d accepted Christ and they’re Christians and they don’t want baptisms, something’s wrong because it is in the Bible. We should be baptized. Betsy: …He say that we’ll be baptized. Pastor Doug: It’s… yeah. “Baptism: Is it Necessary?” by Joe Crews. If you ask for that, we’ll send it to you. Pastor Doug: Alright. Thanks a lot! Pastor Jëan Ross: Let me give you the number for that, Betsy. The number again is 1-800-835-6747. Ask for the study guide, “Baptism: Is it Necessary?” and I think that’ll answer a number of those important questions. Our next caller is Patricia and she is listening on the Internet from Brooklyn, New York. Welcome to the program, Patricia! Pastor Doug: Hi. Thanks for your call. Patricia: Thank you. My question is Colossians 2:16. Pastor Doug: Did you say Galatians? Pastor Doug: That’s the third question tonight on that. What is your question? Patricia: My question is it speaks about judging on meat. Patricia: And my question is, does that mean that we cannot judge on what they eat? Pastor Doug: No. Well, first of all, I think we should be careful about condemning people for anything. Jesus talks about that. But there are teachings in the Bible that He wants us to follow and share. There are teachings in the Bible about our bodies being the holy… Temple of the Holy Spirit and they should be cared for and we shouldn’t be defiling them with things the Bible calls unclean. But in Colossians 2, when it says, “Let no one judge you in food or drink, regarding the festival or new moon, or Sabbaths which are shadows of things to come,” there were a bunch of ceremonial Sabbaths; they had meat and drink and food offerings in the Temple and some of the new Gentile Christians—the New Testament Christians—were not keeping the Jewish offerings regarding Passover lambs and the meat offerings, and the drink offerings and the food offerings. Paul says, “Don’t let people judge you regarding that.” This verse had nothing to do with eating and drinking. It had to do with the ceremonial laws. So, that doesn’t mean now that a Christian… it doesn’t matter what a Christian eats and drinks because, Patricia, can I ask you a personal question? Pastor Doug: Do you have children? Pastor Doug: No, alright. But if you did have children, would you care what they ate? Friends, I hope the program’s been a blessing to you. Pastor Ross and I sure enjoy doing this but the time has the fastest hour in the week. There’s so much more. You can listen to the archives of these programs by going to amazingfacts.org, click on the link that says “Media” and it’ll take you to Bible Answers Live. Most of all, we want you to know about Jesus! It’s not so much about the details. It’s about our relationship with the Truth that will set you free!